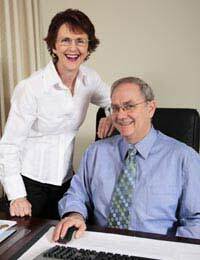 Home > Performance > What Are the Advantages of a Family Business? If you’re considering starting up a business with other members of your family, or perhaps joining your family business that’s already established, there are likely to be a range of benefits that you might find hard to get if you joined an established company elsewhere. A family business that proves to be successful can give you a great sense of family pride and achievement that you wouldn’t get if you simply clocked on and off for another company, and you’ll hopefully feel a sense of ‘all for one’ if times are hard and you all have to pull together to keep things ticking over. There’s more incentive to work together and keep going when times get tough if you know that the family business is what’s at stake, rather than a company that belongs to someone you have no connection to. The chances are that you will have a bond with family members that can’t be replicated with a group of diverse work mates, and this bond can include shared values. It’s more likely that you will be able to agree on the way forward for your family business because you will all have a common interest in making it a success. This bond can give a family business a shared sense of purpose, as well as the likelihood that family members will have similar beliefs about the way things should be done. A sense of loyalty and commitment to the family business can also mean that family members are far more willing to put in longer hours and more effort when it comes to building a business and making it a success. If family members are all working together for the same goals, they will be less likely to be inflexible about working hours or even money, especially while the business is being developed. It’s easier to foster a sense of camaraderie between family members who are all hoping to reap the rewards of a successful enterprise than it would be trying to get the same enthusiasm from unrelated employees who have no connection to the business. A family run business can have a slight competitive edge in its rivals, due to the fact that the family members are all striving for the same goals, there may be less in-fighting, and people are more likely to be flexible about their hours, pay and benefits than they would if employed by a stranger. There is a lot to be said for loyalty, and you could find that employing family members means that you spend less time trying to retain staff, and keep them motivated, if everyone is working for the family business. This means more time can be dedicated to growing and improving the business rather than worrying about recruitment or training. The running costs of a family business can be lower, as family members may be more willing to invest their own money, accept lower or even no wages while the business is being created, and take pay cuts when times are hard in order to keep the business afloat. The costs of insurance may also turn out to be lower, as in some cases employers’ liability insurance isn’t necessary if you exclusively employ close family members in your business.